I think lamb is my new favorite meat these days. 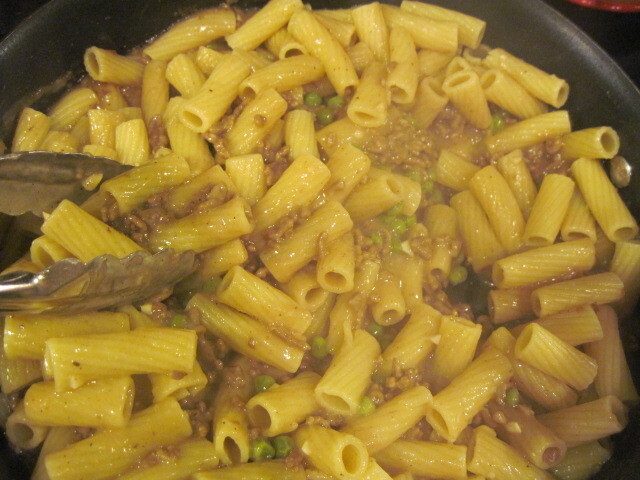 I love it all different ways but last night I made a pasta sauce out of ground lamb that was quite tasty. It reminded me of an Italian Bolognese sauce which is good because that’s what I was going after. 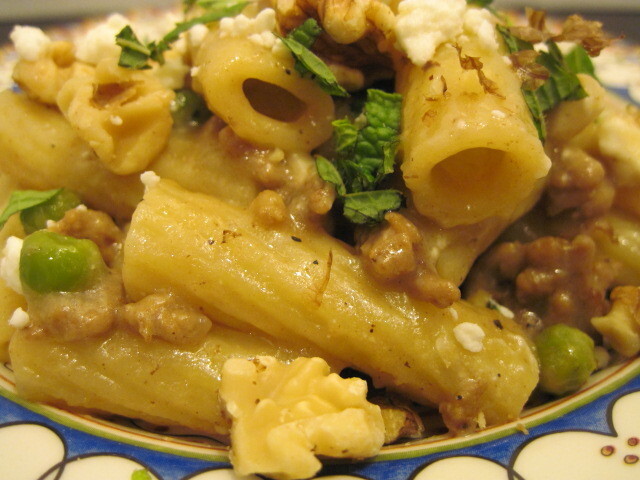 For lack of a better name, I call it, Greek Pasta with Lamb, Mint and Feta. 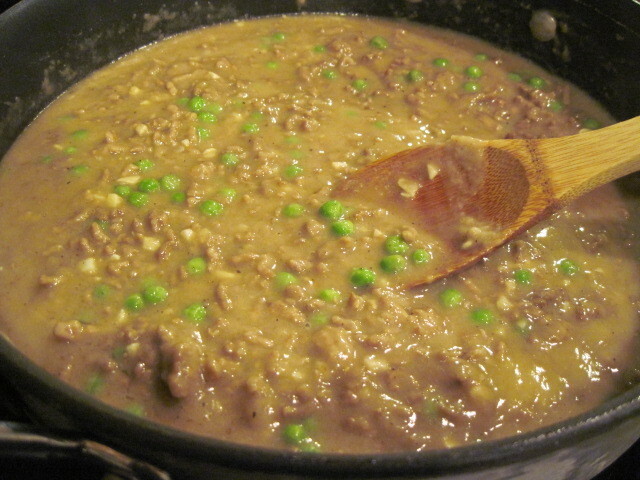 -Brown ground lamb in large skillet over medium high heat. When completely cooked, add flour and cook for at least 1 minute, stirring to combine. -Add chopped garlic and beef stock. Cook until thickened over medium heat. -If needed, add additional stock or water to bring to your desired consistency. 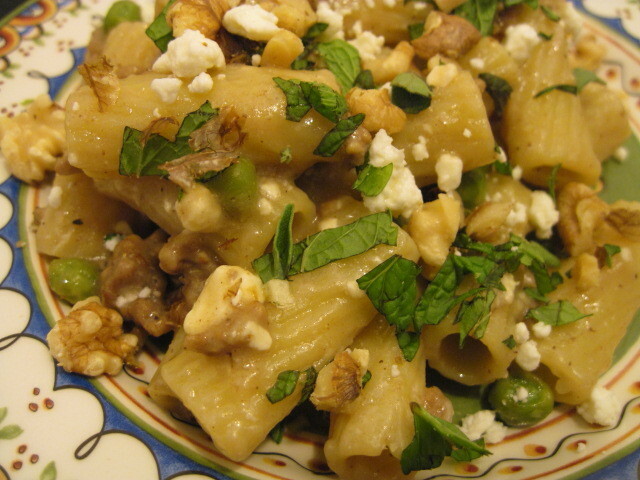 -In a large stock pot, cook the rigatoni to package directions and drain. 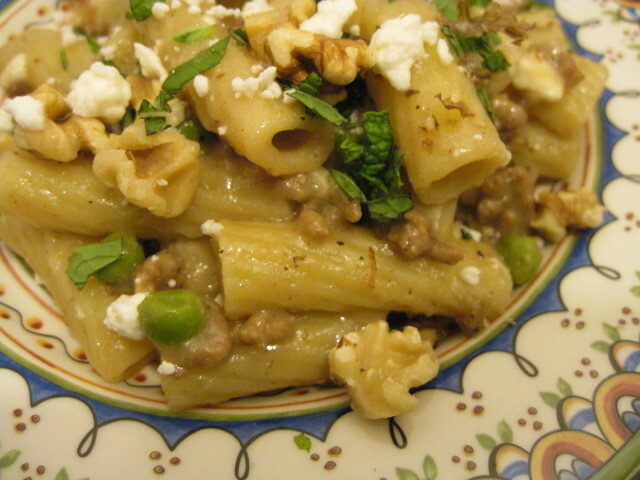 -Add the pasta to the ground lamb sauce and combine thoroughly. 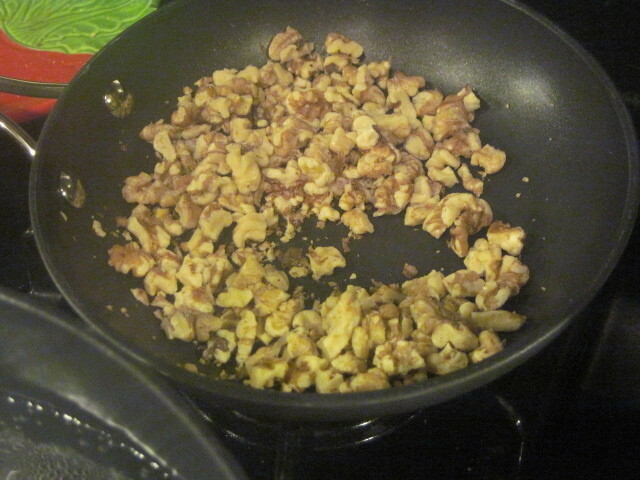 -Meanwhile, in a small dry skillet over medium heat, toast the walnuts for for 3-4 minutes, stirring frequently. 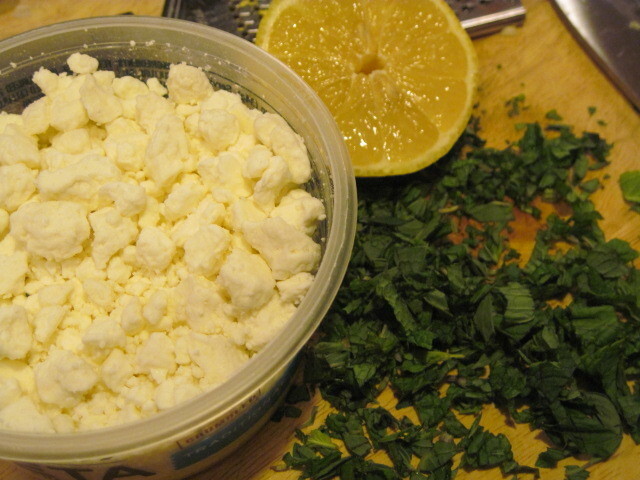 -Just before you’re ready to serve, add the feta, mint, oregano and lemon zest. Stir gently to combine and you’re ready to eat! I hope you’ve enjoyed this recipe and will make it in your own kitchen sometime. Until then, please feel free to feast with your eyes …. Thanks for dropping by. Come back soon to see what I’m cooking (or painting) in my Kudos Kitchen By Renée. I love it when you visit! Cocktail Time - The Cham-Wow! I love Greek Food!! We use to have a place here, a very tiny tiny place that served Greek food, it was so good! Oh my gosh I so want that! Of course the hubs just told me he really doesn't like lamb so now its a restaurant dish for me. That looks spectacular, Renee! Such great comfort food! This sounds perfect! real comfort food and its a good thing the air temp outside is -8, and is not going to get much warmer. 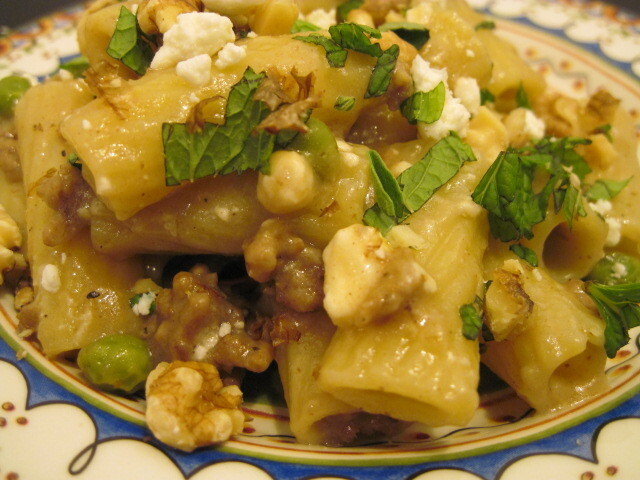 I love the Walnuts in this dish. This is a wonderful original dish Renee and looks great. This is very yummy looking and you REALLY demystified it. I am always a little scared of cookieing with ingredients I am not familiar with. This was VERY helpful!